Generally speaking, people who have a greater ability for learning agility take more control over their own learning by finding opportunities to grow, requesting feedback about their work, and consistently engage in self-reflection and evaluation regarding their work and careers. So where is this leading you might ask? Let’s look at mistakes and errors as a starting point. Mistakes imply a misconception or inadvertence and usually expresses less criticism than an error. An error suggests a standard or guide exists and not making effective use of this, instead straying from the right course resulting in failure. Regarding the error, the standard or guide may be written, verbally agreed to, or perhaps an unwritten, unspoken cultural norm that exists. The key to mistakes and errors is that we learn from them and leverage that experience for other situations. 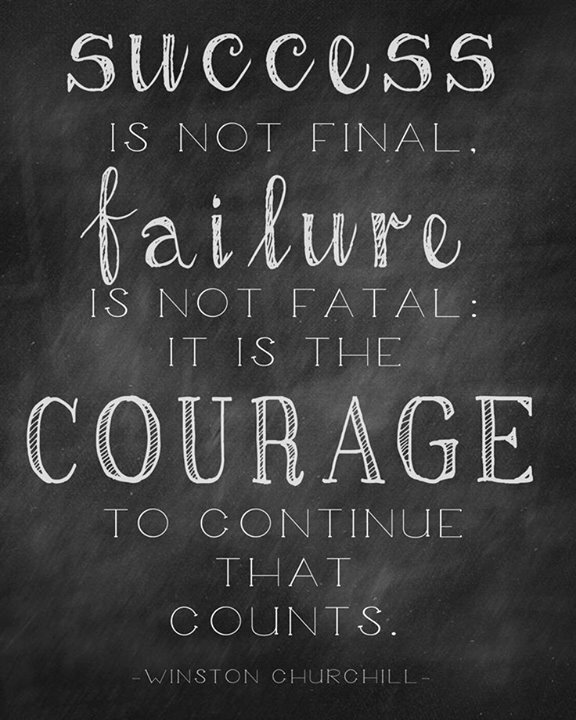 This requires that we have the courage to take risks, be creative and innovative and know that we might fail. Which leads me to humility. Humility by definition is the quality or state of not thinking you are better than other people : the quality or state of being humble. If one believes that they are better than other people, they also are inclined to believe that they do not make mistakes or errors. We all know someone who has never backed down for fear of being perceived as weak or dismissing others ideas just because the it’s not aligned with their ideas for fear of being wrong or dismissing valid performance feedback for fear of actual self-reflection. To overcome fear Bill Treasurer, author of Courage Goes to Work, proposes a bold antidote: courage. Courage is not fearlessness, in fact it is being fearful and being able to overcome that fear. When someone says “that was a humbling experience” they are saying “before that situation I felt I was better than the other people involved and now I don’t.” They overcame their fears of self-reflection. When practiced often this can lead to higher learning agility. So, those people that we know, who fear making mistakes and errors, who lack humility, must learn to have courage first to overcome whatever it is they fear. Whether we make a mistake, commit an error, or even fail at something, it’s imperative that we recognize we have a choice to learn from the situation. To actually learn and apply it to a new situation, we must overcome our fears by demonstrating humility and courage. Imagine an organization that offered more opportunities for delegation, empowerment and motivation as more authority is given to front-line associates by increasing a manager’s span of control. Imagine an organization that improved communication from within as messages pass efficiently through fewer levels of hierarchy. Imagine an organization that could remove departmental rivalry and silos if managers truly understood their roles. Moreover, imagine an organization where both the importance of financial incentives and the selection of performance indicators clearly aligned managers’ reasons to motivate employees to make decisions that boost growth. Organizations have a myriad of strategy-supportive motivational practices and reward systems to increase employee commitment in achieving strategy execution and make these imaginations a reality. Many researches and topics in text books share that financial incentives commonly top the list of management tools leveraged to increase passionate employee commitment to executing strategy and operational excellence. However, financial incentives alone are not the most effective. Managers should leverage a combination of tools to increase employee commitment to strategy execution. Motivation can be complex. In some cases employee motivations are clear and predictable. In other cases, employee motivations are stirred by deeper forces. We know motivation is the process that triggers human behavior and moves it in the direction of attaining particular goals. Both extrinsic and intrinsic motivations are powerful resources for leaders. It is natural for employees to seek recognition and reward, just as it is natural for employees to search for meaning and connection with others. Some of the most important management tools for increasing motivation, financial incentives aside, include providing attractive fringe benefits and perks, providing for internal promotion opportunities, valuing and respecting employee ideas through acknowledgement and implementation, creating a healthy environment of trust through sharing information, simply providing regular, balanced positive and developmental feedback, and along with a myriad of other tools. Clearly organizations must find a healthy balance of intrinsic and extrinsic rewards. The good news is that a healthy balance is also a necessary element of a company that has a competitive advantage. According to Scott Keller and Colin Price (2011) of McKinsey & Company organizations that have strong organizational health have an above average EBITDA margin, are two times more likely to have an above average book value, and are 1.5 times more likely to have an above average net income to sales. A great example of this can be found a Yahoo!. As CEO Marissa Meyer took the helm she instituted several changes, one of which transformed the culture at Yahoo! and put the slowly fading internet company back on the competitive advantage street. Marissa decided to begin offering free meals to their entire campus. She recognized that many people got work done around meals and that those who brought their lunches were not engaging the conversations around the work and changed the reward systems to increase their organizational health. Edgar Schein’s seminal work on corporate culture goes on to define corporate culture at three levels, first, a collection of artifacts (physical locations, policies, practices, company stories), second, an agreed upon set of espoused values (cultural markers in the form of a mission and values statement), and third, set of often implicit organizational assumptions. The three levels Schein describes makes up the core of how the organization operates and is seen internally and externally. When an organization has a strong culture clearly aligned with strategy-supportive values, behavioral norms and practices, it significantly increases its competitive advantage by contributing to the influence and effectiveness of their efforts toward strategy execution. A strong culture can also impede strategy execution if not maintained and boundaryless. This occurs because the culture is deeply rooted in its practices. Organizations may see a new idea or a new process or a change in how things are done as a threat. This may cause a strong organizational culture to purge people and process, which may impede strategy execution and make the culture appear change averse and not agile. While no questions remain that a strong culture can enhance strategy execution, a strong culture that is misdirected must be improved through strong and competent leadership. A vital component, competent leadership, is required throughout the organization and is essential to redirect culture change efforts towards a strong and balanced culture aligned with good strategy execution. This invigorates employees, intrinsically deepening their commitment and enhancing their productivity and increases the likeliness of success. Finding a balance between rewards and punishment is not an easy task for organizations to undertake. 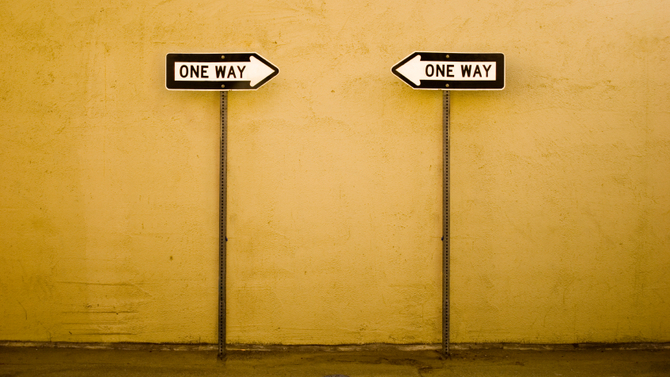 Research suggests organizations must consider features of both because both are necessary. A key to successful balance will be to implement accountability mechanisms to reward employees meeting and exceeding expectations and punish those who fall outside of expectations. The method of aligning rewards to the achievement of strategic goals and financial targets is one of the most powerful tools to gain the commitment of employees. And, while the aforementioned method is one of the most powerful tools, if the method creates a hyper competitive environment it may cause undue stress and actually be counterproductive to strategy execution. Generating a level of healthy competition will drive greater success in executing the strategy. Another key to successful balance is to provide more positive than negative consequences. When there are more positive than negative consequences employees are more motivated and less anxious, more loyal and less flighty, more creative and less protective, and more willing to execute on the strategy of set forth by the organization. Albert Einstein once said that we cannot keep doing the something over and over again expecting different results, that this was insanity. Rewarding behavior for one set of outcomes expecting other outcomes might be considered organizational insanity which degrades an organization from successfully executing its strategy. While values statements are a good place to start to build strong organizational culture, they become simple platitudes unless organizations live them through behaviors. Organizations that focus on rewarding employees who demonstrate the right behaviors and purge those who do not, will strengthen their ability to execute strategy. This strategy will require competent managers and leaders to leverage the multitude of motivational tools at their disposal alongside financial incentives to find the right balance between rewards and punishment and align performance goals to drive accountability throughout each layer of the organization. Employees who are properly rewarded will have little to no motivational constraints, providing the organization with discretionary effort for strategy execution and drive a competitive advantage.